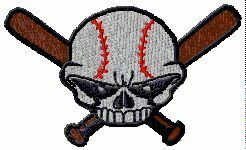 WWW.GLOVE-WORKS.COM BASEBALL GLOVE COLLECTOR FORUM • View topic - I'm very upset with Wilson. I'm very upset with Wilson. Post subject: Re: I'm very upset with Wilson. It's on par with the 1786. It's kind of like a smaller and bowled version of the 1781, which can be seen with various webs. If they did this glove again for GOTM or even retail I suggest all orange tan like Ryan Theriot's. Wow! One more thing to be jealous of that i'll never own! Beautiful glove! Good discussion. Stayed on topic. Unlike another site. Kudos to those involved. I agree that it's a business move that the glove was released in that color way. Either that's their most popular color way request or the cheapest to make or something else. You can't really be upset with Wilson. It's just business and you didn't have to buy the glove. Wilson has become a lot better at responding to the public and its wants via social media. Maybe ask why they chose that color way or request it become a custom just like the 1781 model having an H web possibly becoming a custom. Not sure about the H-web 1781 being available due to the fact standard PI's come in 12" for pros, and retail still has the big dw5 to serve ppl's needs. They might release the TF21 which is a 1781 with an H-web as a GOTM. Wilson stated it would not be a retail glove for 2016. The more I look at that PP05 the less I like the H-web on it. I think the bars may be too thick for a glove that small. It almost gives the glove a closed web look. I think if they made the bars a little thinner like my old PRO200-6 was it would look good. The odd thing about Wilson is that sometimes when they do release something new (to make their customer base happy), they make some odd change to it which makes the glove less desirable. With this glove it's obviously the color, and with a glove like the 1781 they decided that the hand opening had to be really big and wound the lace a fifth time in the heel (as opposed to the standard four). I logged some FP time with a 1781 in the past and it was a nice glove for someone looking for a slightly longer 1787, but from what I've read from numerous people who've checked out the retail model, the hand opening is just too big. Update: I am no longer upset. The pp05 is extremely bowl shaped. It doesnt help that wilsons have pre curved fingers. Plays much bigger than 11.5 too. I agree on the bowl shape. I didnt think it played big though. I tried one out from ballglovewarehouse.com and it was just too tight on the thumb/pinky stalls. Im sure I got a bad one there, but felt it played true to size. Bad color way in my opinion. I don't know, I kinda like that colorway! It's not bad. I don't love it, but don't see why it's ugly either. I just noticed that many websites don't list what the country of origin is on gloves. Maybe they don't want potential American buyers to know that their Wilson A2000 are made in Vietnam and not in the USA? One of my friends posted on his facebook page what glove he should get his son who is quite good for his first glove entering high school level of play and I gave out my typical odd sounding MIJ choices while everyone else said wilson or rawlings and he later said he went with a rawlings HOH and several people said things like "yeah you can't beat American made gloves" and I notified them that rawlings was made in the Philippines and no one believed me. I wonder how much business rawlings and wilson would lose if people knew that their gloves were not made in America? I'm sure people would guess that youth models were made overseas, but not the high school and above level gloves.